Cooled by fog from the San Pablo Bay, the rolling hills of this certified sustainable Carneros estate vineyard have produced distinctive Chardonnay and Pinot Noir for over 30 years. Dedicated to a philosophy of producing vineyard-driven wines, Cuvaison employs block-by-block farming methods and a hand-crafted vineyard-to-bottle winemaking approach. The resulting wines are balanced and complex, showcasing the distinctive characteristics of this cool climate estate. A light filled space surrounded by waves of vineyards and stunning architecture. Cuvaison offers indoor and outdoor seated tastings. View from Tasting Room: Our Carneros location offers panoramic views of the surrounding vineyards and Milliken Peak. 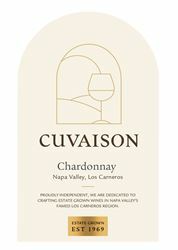 To join the wine club, visit www.cuvaison.com or call 707-942-2455. Our exclusive Wine Club samplers are sent five times a year in January, March, May, September and November. Throughout the year, Club Members will receive special promotions via email and phone, and be invited to attend fantastic wine club events. Napa Neighbors receive a complimentary Los Carneros Tasting of 5 estate wines for each bottle purchased, up to 4 guests. 10% discount on wine purchases. Valid Monday - Friday only, excluding Holidays. Prior appointment is required. Call 707-942-2455 to reserve. Cuvaison is certified under the Napa Green Winery Program by the Napa County Department of Environmental Management (DEM) and the Association of Bay Area Government’s (ABAG) Green Business Program and completed all the regulatory components needed for environmental sustainability. These components included developing water and energy conservation methods, preventing pollution, and reducing solid waste. In addition to developing sustainable winery practices, this program is set to become the standard for the state of California. Cuvaison is certified under the Napa Green Certified Land Program. Cuvaison has created and implemented a customized farm plan with measured results that addressed all aspects of its property, vineyard land as well as non-farmed land, including practicing soil conservation, water conservation, stable drainage, riparian corridor enhancement, fisheries and wildlife habitat enhancement and long-term improvement and sustainability. Bon Vivant Hospitality Group Inc.